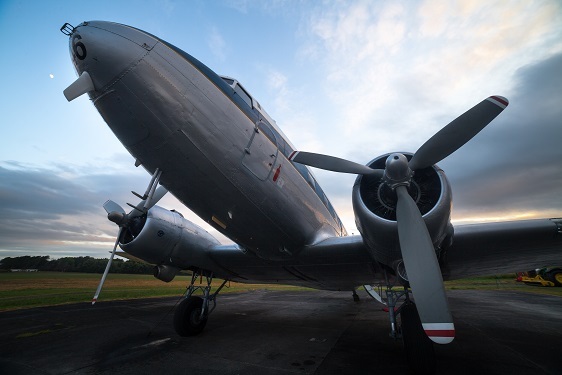 Our DC3 airliner was manufactured at Tinker airfield in Oklahoma and delivered to the United States Army Air Force on October 30, 1944. During WW2 she served with various units and squadrons in continental America before being transferred to Japan and the Philippines for service in the Korean War. Following decommissioning in April 1959, she was used by Philippines Airlines on their first international service from Manila to Hong Kong. She was then sold to PATAIR in New Guinea before appearing on the Australian register in 1970, flying for Bush Pilot Airlines and Queensland Airlines. 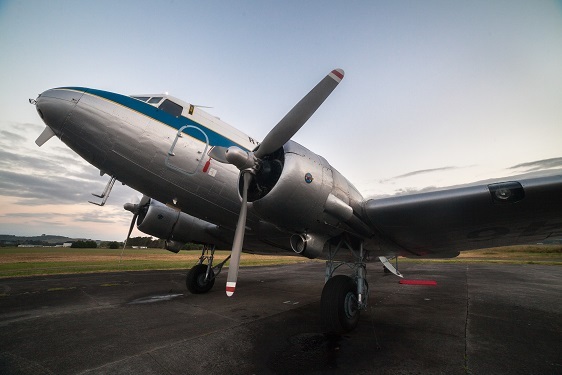 In 1983, the DC3 was retired to the Mackay Air Museum, then flew as “Gooney Bird Tours” in Northern Queensland before finally being retired as a static exhibit. In 1987, she began a new life in New Zealand, when she was purchased by a group of our New Zealand Warbird pilots and friends. For many years their DC3 was painted in the D-Day colours used by the Royal Air Force during World War 2 – olive green on the upper surfaces and eggshell blue below. In 2007, the DC3 was repainted to represent the aircraft “NZ3546” from No.42 Squadron of the Royal New Zealand Air Force. 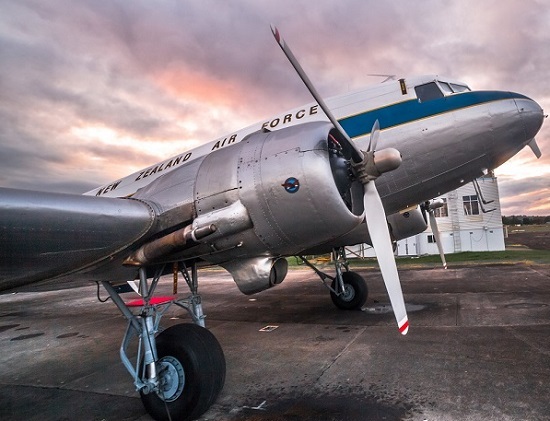 NZ3546 was one of the last two DC3s in the RNZAF service. Sold by tender, NZ3546 is now believed to be based at Wonderboom, South Africa.